Across San Diego in the coming months, you may see a drone mapping a fire in real time, delivering a snack from your favorite fast food chain to your doorstep, dropping off a package in your neighbor’s front yard, transforming regional fireworks shows into digital storytelling platforms, or delivering medical samples to a lab reducing patient wait time in local ERs. This is all because of unique regional collaboration with the Federal Aviation Administration (FAA). In 2010, EDC, in partnership with SDMAC and other institutions, assessed our regional defense industry to better understand what facets of our defense ecosystem were most resilient to decline even as the conflicts in Iraq and Afghanistan drew down. Drones were identified as one of the major technology areas in which the region had unique expertise and would continue to be acquired by the Department of Defense. Subsequently, EDC has worked on a variety of initiatives to support the development of this evolving industry. By 2022, the FAA estimates that 451,800 commercial drones – up from just over 100,000 in 2017 – will be flying across our skies performing a wide variety of unique tasks that will change our day to day lives. This growth is being driven by companies already solving problems like critical infrastructure inspection, incident response, and real-time fire management. In addition to very serious use cases, drones are now transforming Olympic Opening Ceremonies, delivering medical supplies to those in need, and acting as valuable sensor nodes for smart city infrastructure. With so many exciting use cases, you may wonder why we don’t see more drones flown by companies as opposed to your 14-year-old neighbor across the street. The reality is that the U.S. airspace is a complex web of overlapping operations that remains one of the statistically safest things you can do. The FAA, who has the responsibility of adjusting rules to allow drones in the national airspace, is laser-focused on safety. With this, the FAA is also very conscious of the opportunity that drones present for all types of industry and use cases. To expedite industry demand, the FAA and Department of Transportation launched a new program in November 2017 called the Unmanned Aircraft Systems Integrated Pilot Program (IPP). This project asked local and state governments to submit a detailed application in partnership with industry outlining how they could partner to demonstrate a variety of technologies critical for flying safely in and around people in more urban and suburban environments. The City of San Diego offices of homeland security and economic development, supported by EDC, put together a competitive application in response to IPP. The application was supported by academic, government, and nonprofit partners including the Port of San Diego, City of Chula Vista, UC San Diego Health, Governors Military Council, Governor’s Office of Business and Economic Development, Palomar Community College, Coleman University, and AUVSI. Just as importantly, the application included corporate support from Qualcomm, AT&T, UBER, Intel, GE, Matternet, AirMap, CAPE, and others. These companies each have tremendous technical experience in the underlying fields essential to the development of the drone industry and have proposed a series of truly Life. Changing. use cases. With the application submitted, San Diego alongside the other 149 applicants from across the country are waiting to hear from the FAA. Stay tuned to find who will be among the final 10 selected to move forward with IPP in May 2018. In January 2018, WTC San Diego compiled a report for the Port of San Diego comparing trucking companies’ shipping prices to more than 20 destinations throughout the Southwest. The report included an assessment of conditions that currently cause spikes in shipping prices, including inclement weather, regulatory changes, and a shortage of drivers. Data shows, at the start of 2018, just one truck was available in the U.S. for every 12 loads needing to be shipped. The report painted a clearer picture on the competitiveness of shipping from the Port of San Diego compared to the Port of Long Beach. The information will assist the Port in providing service to its tenants and inform its work to attract ocean liners. The Duane Roth Renaissance Award is named in memory of a beloved community leader who tirelessly championed San Diego's innovation ecosystem and reframed how we view our economic diversity. This award recognizes an organization whose work is creating outstanding inventions, innovations or breakthroughs that have changed and improved the world around us. 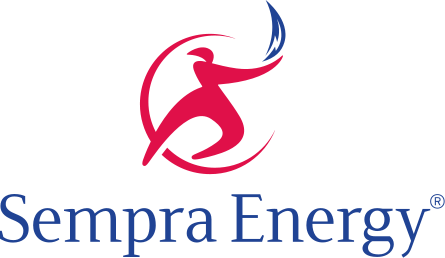 Sempra Energy is a San Diego-based Fortune 500 energy services holding company with an enviable track record of growth over its 20-year history. Sempra Energy provides safe, reliable energy through its regulated utilities and energy infrastructure businesses to approximately 43 million consumers worldwide with 20,000 employees, including the company’s most recent acquisition of a majority stake in Oncor, the largest utility in Texas. Major initiatives include system modernization, decarbonization and electrification, as well as innovative strategies to minimize impacts on the environment and maximize the deployment of cleaner energy sources. Please join us at SeaWorld on May 31 to celebrate Sempra and more. Register here. On Monday, local leaders converged to celebrate a true San Diego success story: Forge Therapeutics. The biotech startup is doubling its local footprint and just became the newest tenant at Alexandria Real Estate’s Torrey Ridge Science Center. World Trade Center San Diego and EDC first learned of Forge during its trade mission to the U.K. in October 2017. In London, CEO Zak Zimmerman announced a partnership with the U.K. team at Evotec, dubbed the BLACKSMITH platform. The international partnership allows Forge to work around the clock to brings its life-saving science to market. In the U.S. alone, more than 23,000 die annually due to antibiotic-resistant bacteria, or ‘superbugs.’ Forge Therapeutics is changing that through the creation of a novel class of antibiotics that are targeting gram-negative bacteria, a class of bacteria with ‘bulletproof’ membranes that are resistant to traditional antibacterial interventions. The secret behind the life-saving science lies in metal-dependent enzymes or metalloenzymes. Zimmerman’s team has assumed the role of the blacksmiths of modern medicine; they are using chemistry to target these naturally occurring metals that help combat antibiotic-resistant superbugs. Forge’s expansion comes at a time when telling the story of innovative, expanding companies is more important than ever. "The national rhetoric around trade has not made it easy for businesses to create international partnerships, but supporting local companies as they expand overseas leads to economic growth and creates jobs here in San Diego. I hope that success stories, like Forge's and other groundbreaking companies in San Diego, can help change that," added Rep. Scott Peters, who was on site to provide remarks during the ribbon cutting. San Diego already holds a reputation as a biotech powerhouse, but it’s true competitive edge lies in its ability to engineer and take life-saving treatments to market. San Diego civic leaders remained committed to fostering an environment where companies can continue to succeed. “By expanding its footprint and doubling its workforce, Forge is strengthening our city's reputation as a leader in medical research and innovation. Success stories like this demonstrate how important it is that we are creating the kind of environment where companies like this can grow and thrive," said San Diego Mayor Kevin Faulconer. But for Zimmerman and Forge, San Diego has been part of its DNA. Nearly three years ago, Zimmerman met UC San Diego professor Seth Cohen with a chance meeting on a soccer field. The initial technology for Forge was based on more than 15 years of leading research Cohen, spearheaded at UC San Diego. Much of the company’s funding and scientific board also has San Diego roots. "We are extremely proud to be growing our footprint in San Diego. This biotechnology ecosystem consisting of groundbreaking science, educated investors, strategic advisors and local supporters has allowed us to thrive and expand in ways that we couldn't have imagined," Zimmerman said. During a Fireside chat with San Diego Union-Tribune reporter Bradley Fikes, Zimmerman spoke a bit more about his decision to grow in San Diego. “Yeah, Boston and San Francisco are known for science, but we wanted to be in a place where people wanted to live and we can attract scientists with 10-20 years experience,” said Zimmerman. Part of Forge’s growth is due to Alexandria Real Estate. Alexandria Investment Partners, the real estate company’s venture arm, backed Forge’s Series A. Now, they are providing Forge with more than 7,000 sq ft of office and lab space. But to Alexandria, it’s about creating an experience that helps companies foster life-saving innovation. “When you have a good feeling about your physical space, it makes you want to work hard,” said Zimmerman, of his new ARE office space.